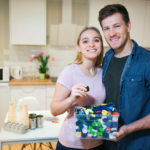 An eco-friendly cleaning service can help you conserve resources. 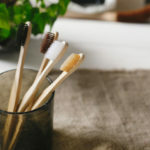 The products they use are beneficial because they contribute to green living and are non-toxic as well as safer than conventional cleaning products. 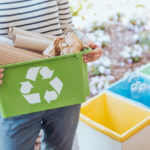 A commercial cleaning service that is eco-friendly offers a solution to clean and sanitize your company’s trash bins and dumpsters. They can go to your business with an automated truck and use certified green products to leave everything sparkling clean. The process involves the following steps: 1) Preparing your bins for cleaning. 2) Placing the bins on the truck lift. 3) Lifting the bins into a self-contained cleaning unit. 4) Lowering the bins to a location where they sanitize them. 5) Disposing the wash water at a treatment plant. Garbage bins and trash containers are infested with germs and bacteria. Disease and viruses such as Listeria, Salmonella, and E.coli can start to grow hours after you discard waste. A green cleaning service can disinfect your bins without having a negative impact on the environment. 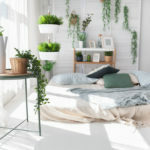 Read more below about reasons why you should switch to eco-friendly cleaning services. Purer Environment: These types of services use greener products that help reduce pollution in the waterways and air. They also minimize your impact on global climate change. Water Conservation: Eco-friendly services use a lot less water. They recycle it by recapturing it into a reclamation unit. 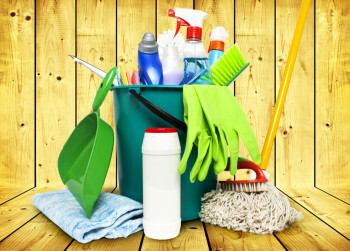 Safety: Green cleaning services include better training programs that emphasize safety. They use automatic dilution dispensers and focus on reducing exposure to toxins. If you have questions or need more information please contact us.